Solid Italian fare is delivered at the downtown favorite Emilio's Ballato. This Italian spot, recently written about in the NY Times, is a pleasant joint on Houston Street to devour old school, classic, Italian dishes. 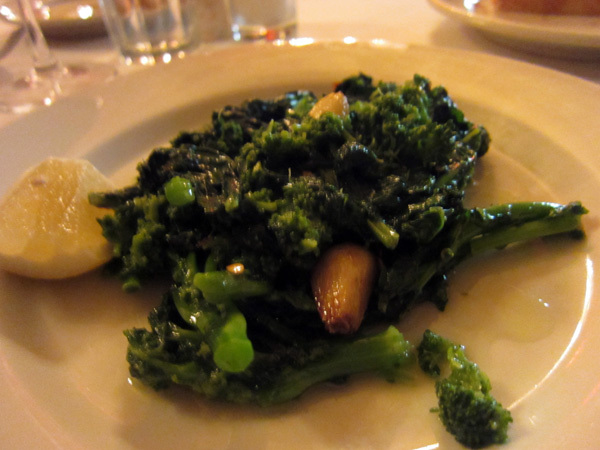 From delicious broccoli rabe and Caprese, to tagliatelle alla bolognese and veal milanese, all the dishes here are really good, without being mind-blowing. Take a date, have some wine, and have some solid Italian grub.